Even though the Xbox One X has not released yet, comparisons of games running on the upcoming $499 console by Microsoft and Sony’s PlayStation 4 Pro are already being made. 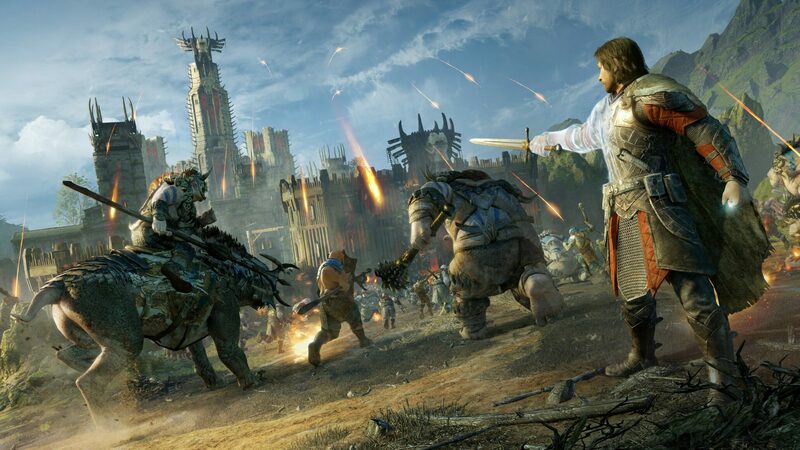 In the case of Monolith’s Middle-earth: Shadow of War, Digital Foundry just released a video comparison using the final PS4 Pro version of the game and the Gamescom Xbox One X build. Even though the folks at Monolith stressed that this is not the final XB1X build, suggesting that there could be further improvements, there’s already a hugely noticeable graphics quality gap. Perhaps the single biggest difference can be found in texture quality, as demonstrated in the snapshot below. 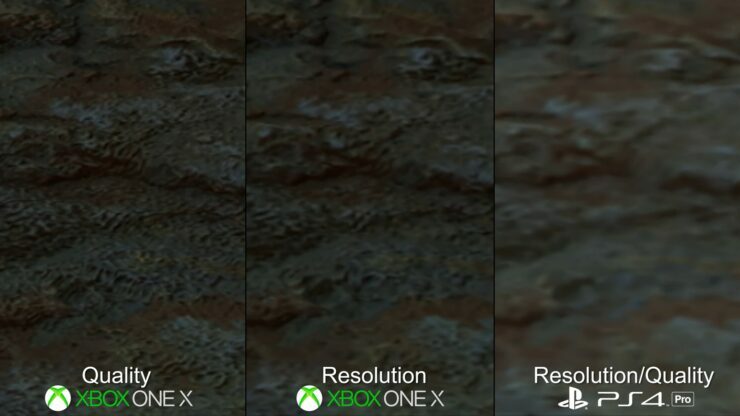 According to Digital Foundry, the two settings that players can pick on Xbox One X, Quality or Resolution, both feature the same high texture quality. The only difference is that texture filtering is lower when selecting Resolution. As you would expect, when picking Resolution the game sticks by default to a native 2160p frame buffer, just like Monolith’s Bob Roberts told us at E3 2017. That said, the Quality setting seems to be the better choice because of better texture filtering and LOD quality. This setting runs at 1980p, which is still a big jump over PS4 Pro’s 1620p. Interestingly, activating Dynamic Resolution (an option absent on PlayStation 4 Pro) is actually recommended. That’s because the resolution just drops a little (down to 1890p, in the test) but it can also go up all the way to 2160p when the amount of characters and effects on screen allow for it. Middle-earth: Shadow of War seems to be the game showcasing the biggest graphics difference between Xbox One X and PlayStation 4 Pro so far, which isn’t that surprising as Microsoft partnered with Warner Bros. on the game’s marketing. The question is whether many other third-party publishers and developers will be interested in fully exploring the Xbox One X’s hardware capabilities. The new console is due on November 7th; stay tuned for a lot more coverage in the coming weeks.